The findings of the latest work on the draft Integrated Resource Plan for Electricity, IRP 2017, by Eskom for the South African Department of Energy (DoE) are proving to be somewhat problematic for Energy Minister David Mahlobo. By CHRIS YELLAND. As a result, this latest work by Eskom, and all further work on IRP 2017, has now been taken out of the hands of both Eskom and the DoE planning technocrats by Minister Mahlobo and his nuclear team so they can “massage” it further with “policy adjustment”. 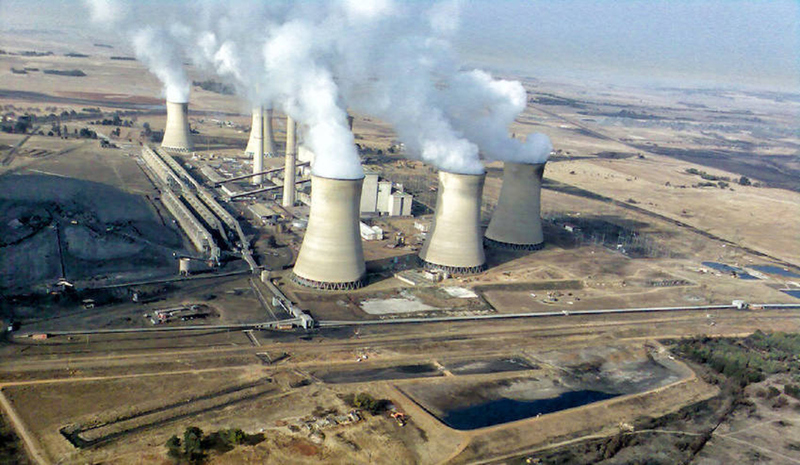 The Eskom work confirms studies by other respected research bodies in South Africa and abroad, as well as the statements by Finance Minister Malusi Gigaba at the recent World Bank and International Monetary Fund summit in New York, and in his Medium-Term Budget policy statement, that the new-nuclear option for South Africa is both unnecessary and costly. After modelling numerous scenarios in the latest work by Eskom, the study focuses on five broad scenario options, referred to by Eskom as: the Reference Case; the Optimum Plan; the Low Growth Scenario; the Carbon Budget Plan; and the Forced Nuclear scenario. In the Forced Nuclear scenario, some 9,6 GW of new-nuclear power is “hard-wired” (or forced) into the IRP model in the years to 2050, because none of the other scenarios modelled come up with this particular outcome, which appears to be preferred by the DoE nuclear team and the Zuma administration. For the first time, this latest work by Eskom incorporates the cost of transmission infrastructure, by including these costs for all the generation technologies and scenarios modelled. Eskom concludes that contrary to what is often heard, the total cost of grid integration of renewable energy, coal, gas or nuclear is actually minimal in comparison to the cost of the generation component. Based on local and international studies, and real-world experience, and again contrary to what is often heard from nuclear evangelists (including those within Eskom itself), the latest Eskom study shows that the overnight capital cost of new nuclear in SA is the highest by far of all the generation technologies, significantly higher even than that of concentrating solar power (CSP) with nine hours of energy storage. Specifically, the study finds that the overnight capital cost of new nuclear power in South Africa comes in at $5141 per kW installed. This is compared to $680 per kW for OCGT, $747 for CCGT, $1390 per kW for wind, $1,220 per kW for fixed-tilt solar PV, $4,336 per kW for CSP with nine hours of energy storage, and from $2,950 to $3,560 per kW for new coal. The Forced Nuclear scenario, in which 9,6 GW of nuclear new-build is “hard-wired” into the IRP model, would increase the electricity price trajectory in South Africa significantly more than that for any of the other viable scenarios modelled, with prices approximately R0,15 per kWh higher than that of the Optimum Case. The Eskom study goes further to show that from 2030 to 2050 the cumulative electricity cost to customers resulting from the R0,15 per kWh higher electricity price of the Forced Nuclear scenario is some R800-billion higher than that of the Optimum Plan scenario, and R500-billion higher than that of the Reference (Base) Case scenario. In the Carbon Budget scenario modelled by Eskom, a median demand growth is assumed, and a more demanding approach to CO2 emission reduction is taken. In addition, solar PV and wind capacity is artificially (i.e. politically) constrained at 1 GW and 1,8 GW per annum respectively. This forces 5,6 GW of new nuclear power into the IRP (made up of 4 x 1,4 GW reactors), but these are only required in 2039, 2040, 2045 and 2046 respectively. In the Optimum Plan scenario modelled by Eskom, where a median demand growth is assumed, together with the more moderate “peak-plateau-decline” approach to CO2 emission reduction, and with no annual caps on wind and solar PV, the study shows that no new nuclear power is required at all in the years to 2050. In fact, even in the base case Reference Plan scenario, where the artificial annual constraints of 1 GW and 1,8 GW per annum are imposed for wind and solar PV, together with a median demand growth forecast and the “peak-plateau-decline” approach to CO2 emission reduction, no new nuclear is required by 2050 at all. In response to this article, Eskom has indicated that it unable to comment as is not aware of the contents of the IRP. “The Eskom team is only involved in terms of providing the modelling work, with the approach and inputs given by the Department of Energy,” said Eskom spokesperson Khulu Phasiwe. The DoE did not respond when given the opportunity for right-of-reply. In summary, the Eskom modelling work makes it clear that the unconstrained least-cost scenario of the Optimum Plan does not include any new nuclear power, regardless of demand projections and CO2 limits. Furthermore, the modelling shows that the only way to getting new nuclear into the IRP is by artificially constraining renewable energy, or by taking a hard-wired “Forced Nuclear” approach. Perhaps it is these realities highlighted in the latest modelling work and findings by Eskom that are giving the DoE planners and nuclear team some headaches, leading to the delay in the release of IRP 2017 from the mid-November date indicated only a few weeks ago by the energy minister.